A new study provides genetic evidence for splitting up the Yellow-rumped Warbler into multiple species — at least three and possibly four. Such a split would restore the status that Myrtle and Audubon's Warblers had prior to the 1970s. 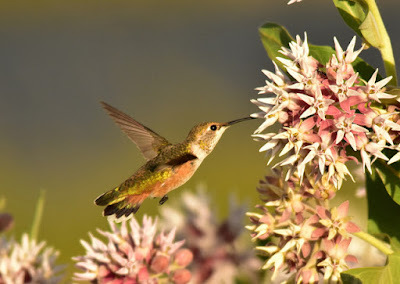 All About Birds has a guide to the four forms. 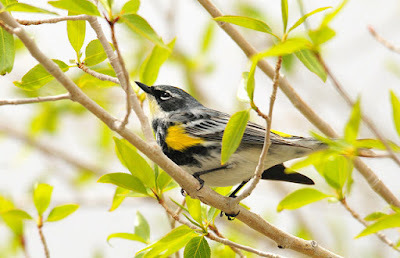 Meanwhile, another study found that Blue-winged and Golden-winged Warblers are genetically almost identical and that their morphological differences may be a result of dominant and recessive traits. The effort to save remaining populations of Spotted Owls is increasingly becoming a race to prevent Barred Owls from encroaching on existing breeding territories. Saltmarsh Sparrows are struggling in the face of encroachment from coastal development and climate change, and their long-term survival is uncertain. Geolocator tags are making it easier to map stopover habitat for migratory shorebirds that breed in the Arctic. Golden Eagles may be more common in open, elevated terrain with higher windspeeds. Stokes Birding Blog: Common Nighthawks On The Move Now, How to See Them!! World Shorebirds Day: Why not counting shorebirds as you go birding anyway? This week marked the 100th anniversary of the founding of the National Park Service. As part of the centennial celebration, all national parks will have free admission this weekend, and a series of bioblitzes have taken place at national park sites throughout the year. In recent decades, parks have taken on a new role as laboratories for studying climate change. While the parks remain popular and important for conservation and historical preservation, they are chronically underfunded. Visitors are also disproportionately white. On Wednesday, Obama designated the Katahdin Woods and Waters National Monument on land donated in Maine. The tract protects forests used by boreal bird species, among others. Today Obama will also expand the Papahānaumokuākea Marine National Monument off Hawaii to 582,578 square miles to protect marine biodiversity in the face of climate change. Wildlife officials in Washington will kill off the 11-member Profanity Peak wolf pack after a series of attacks on cattle. That represents 12% of the state's wolf population. The endangered mountain yellow-legged frog is threatened by the prolonged drought and intense wildfires in California. Another study confirms that biofuels are not carbon-neutral. Pikas are losing their range due to climate change. A Bosnian Pine in northern Greece is the oldest single-trunked tree in Europe at 1075 years old. Much of our knowledge about the natural history of Song Sparrows builds on the pioneering work of Margaret Morse Nice, who tracked the progress of dozens of pairs in her home neighborhood in the 1930s. Barn Swallows in the US and Mediterranean have different mating preferences. Extinction Countdown: Are Bats Facing a Hidden Extinction Crisis? Expansion of the border wall between the US and Mexico would harm ecosystems and wildlife on either side of the border, especially large mammals. This year has seen an escalating series of attempts by conservative lawmakers to give away swaths of federal land to states or private interests or parts of protected refuges to the Pentagon. Adapting parks to climate change is now a major part of NPS planning. Neonicotinoids have now been linked to wild bee population declines in the field. The presence of a bipedal bear in northern New Jersey has sparked debates over whether the bear should be captured and brought to a sanctuary for injured animals. A conservationist is making collages of invasive species out of parts of invasive plants. The golf course for the Summer Olympics was built on land that had been designated as a protected wildlife refuge. Citizen science can be as much about education and setting policy and research priorities as about simply collecting data. This was a good year for Piping Plovers and American Oystercatchers nesting at Holgate. A study of three national forests in Wisconsin and Minnesota found that breeding bird populations were holding steady. 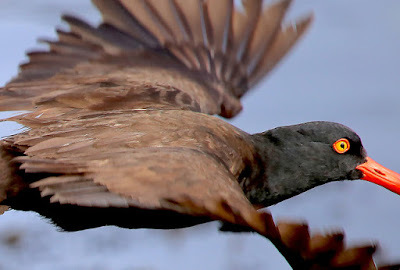 As embarrassing as birding might be for white birders, it can be even more uncomfortable or dangerous for black birders. Cuba's Blue-headed Quail-Dove is even more unlike other doves than its appearance suggests. It is possible to find birds by knowing which trees to look in. Video monitoring might help scientists figure out why birds and other animals are dying around Ivanpah's towers and ultimately lead to a solution. New research using geolocators and isotopic analysis is complicating the concept of migratory flyways. The elegant Snowy Egret was an early conservation success. Gulls are more likely to raid other gulls' nests when sea temperatures are high near a nesting colony. Contaminants that have accumulated in the bodies of marine mammals can harm condors' ability to reproduce if they eat marine mammal carcasses. An analysis of the evolution of birds' nests suggests that changing nesting habits may have contributed to their survival past the end of the Cretaceous. A man in South Carolina was caught killing hawks because they sometimes preyed on his quail. According to a new report, over-hunting, over-fishing, and habitat destruction (primarily for agriculture) are still the primary drivers of biodiversity loss while climate change remains a lesser threat (for now at least). Aggressive hunting may have wiped out the East Fork wolf pack near Denali, which is one of the longest-studied groups of wolves. Climate.gov released its State of the Climate report for 2015, which looks at the effects on marine life. Changes in land management practices have made the western juniper into an invader of the sagebrush steppe, which threatens to eliminate habitat for wildlife and livestock. The poor reputation of coyotes is undeserved and leads to senseless killing. The Greenland shark may be the longest-lived vertebrate, with its average lifespan estimated at 400 years old. Burying beetles help to clean up refuse, in this case by burying carcasses for their larvae to eat. Wild blue mussels are disappearing along the coast of the Gulf of Maine. The public has had to fund a substantial portion of the Mount Polley mine cleanup, even though the offending company is still profitable. New Jersey is releasing a weevil to combat invasive mile-a-mile weed.